I think we go through stages as we travel through life. My current stage is purge…..I want to lighten up, clear out and live with less stuff, junk, whatever you want to call it. I do this every couple of years and my closet every six months. Nonessentials. In an ideal world, most of the things we own would fit in this pile. These are the objects we want in our lives because they add value. Strictly speaking, I don’t need a couch, a bookshelf, or a dining table in my living room, but these items enhance, amplify, or augment my experience of life. Junk. Sadly, most of our things belong in this pile. These are the artifacts we like—or, more accurately, think we like—but they don’t serve a purpose or bring us joy. The average American home contains more than 300,000 items, and most of it is junk. While this junk often masquerades as indispensable, it actually gets in the way of a more meaningful life.Of course, the personal effects in these piles are different for everyone. The widgets that add value to my life might be junk to you, and vice versa. The key, then, is to continue to question the things we bring into our lives, and to question the things we hold onto, because the stuff that adds value today might be tomorrow’s junk. Entry filed under: A Better You, Resources You Can Use!, Shared Posts, Stuff I Love. 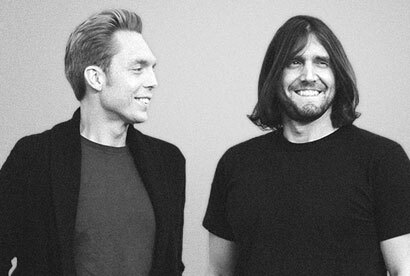 Tags: Living with less, The Minimalists share how to lighten up., What's essential in your life. This message is confidential and may be protected by copyright. If you are not the intended recipient, you must not use or disclose any information in this email. If you have received this email in error, please notify us immediately by return email or by calling +61 3 9421 7000 and delete the email.